Hollywood celebrities are doing it. Corporate moguls are doing it. But what about those of us living in the real worldâand on a real budget? Author and holistic health practitioner Victoria Moran started eating only plants nearly thirty years ago, raised her daughter, Adair, vegan from birth, and maintains a sixty-pound weight loss. 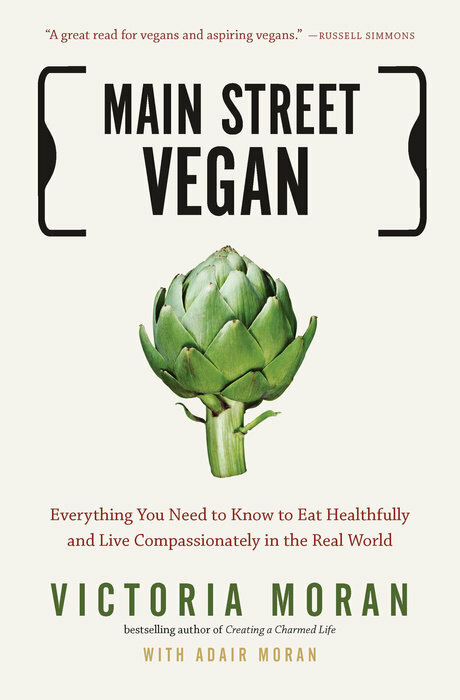 In Main Street Vegan, Moran offers a complete guide to making this dietary and lifestyle shift with an emphasis on practical “baby steps,” proving that you donât have to have a personal chef or lifestyle coach on speed dial to experience the physical and spiritual benefits of being a vegan. This book provides practical advice and inspiration for everyoneâfrom Main Street to Wall Street, and for everyoneâfrom Main Street to Wall Street, and everywhere between.